PayPal stock will hit the market on Monday, July 20, as parent company eBay Inc. (Nasdaq: EBAY) spins off the digital payment portion of its business. Through the PayPal spin-off, eBay shareholders of record as of July 8 will receive one share of PYPL stock for every share of EBAY they own. 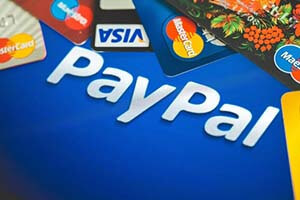 EBay will now focus solely on e-commerce, while PayPal will remain focused on digital payments. The biggest goal for eBay will be growing its user base. The platform has 25 million sellers and more than 157 million active buyers. Shoppers can browse roughly 800 million live listings at any time, according to company officials. The company had revenue of $8.8 billion in 2014. At the end of 2014, PayPal had more than 165 million active accounts. It processed more than $235 billion in payments that year too. In the most recent quarter, its revenue touched $2.11 billion. That was the first time it posted more revenue than eBay in a quarter, as eBay had revenue of $2.07 billion. “Money, not morality, is the principle of commerce …”—Thomas Jefferson. And, not even the criminal code gets in the way of commerce at eBay Inc.
Nice comment Philip, i like how you copy paste that chicken scrawl on almost every news article on Paypal. Go educate yourself because you're clearly brain-dead.